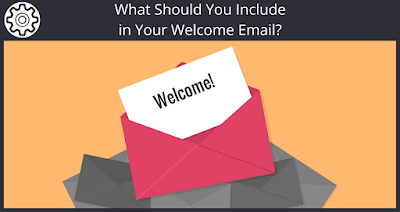 What Should You Include in Your Welcome Email? First impressions count for a lot, right? Whether it’s the first time you meet someone in person or the first step you step inside a shop. We remember those initial thoughts and feelings we had. That’s why your welcome email is so important. With this in mind, it’s hugely important to make sure your subscribers get a great first impression of you and your brand. And how can you do that? With a stellar welcome email. This isn’t just a chance to say hi and thanks to your new subscribers, it’s a chance to connect on a deeper level with them and to understand their needs more clearly. So, have you really considered the first impression your emails are giving your subscribers? There is a ton of research that shows why welcome emails deserve our attention. Most notably, it’s because of their hefty open rate. 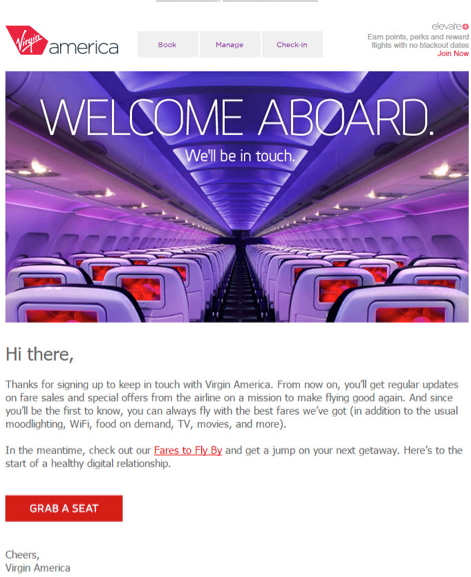 In a recent study by Marketing Land , it was found that welcome emails have an average read rate of 34% – up 10% from the average read rate of 24% for all other times of email. People sign up for things on the spur of the moment all the time. They might have come across a great brand one day, signed up on the spot, and then forgotten about them by the next. If this brand doesn’t send them an email as soon as they sign up, there’s the worry that when the first email comes through, the subscriber will be left thinking “Who isthis in my inbox?”. Sending an email as soon as someone signs up to your email list is a great way to remind them who you are and get them used to receiving emails from you. Sure, someone will only sign up for your list if they like the sound of you, if they like what you’re offering, and if they want to hear from you more often. It’s the equivalent of following up with someone you meet at a conference or party – it’s polite and makes that relationship a little bit deeper. So now you know why welcome emails are so important, let’s dig into what you can include in them to give your subscribers and amazing first impression of you and your brand. This is the very first thing a new subscriber will see in their inbox, so you want to make this count. If they don’t click through into your welcome email after they’ve literally just signed up for your list, what hope is there for them opening any of your other emails? At this point, you want to keep things clear and simple. 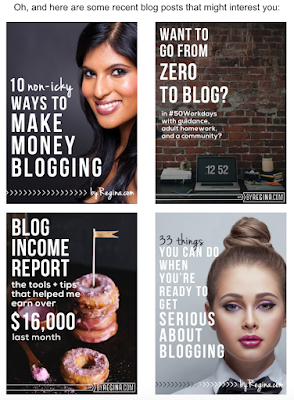 Skip the ambivalence and avoid clickbait-style subject lines. Something like, “Welcome to X! What now?” or “You’re all signed up. What happens next?” are great. You can also go one step further and personalize your email subject lines. Chances are, your subscriber entered their name when they signed up, so your welcome email is a great space to utilize that and build a deeper connection – emails with a personalized subject line (whether it’s a welcome email or not) are 26% more likely to be opened. In the digital age, people have short memories. They might know your site like the back of their hand, but when you drop into their inbox, the lack of context might make their head spin. This is why it’s important to state exactly who you are (even if you’re 100% sure your subscribers already know) and why you’re emailing. Did they sign up for something in particular? A short sentence like, “This is [NAME] from [COMPANY]. 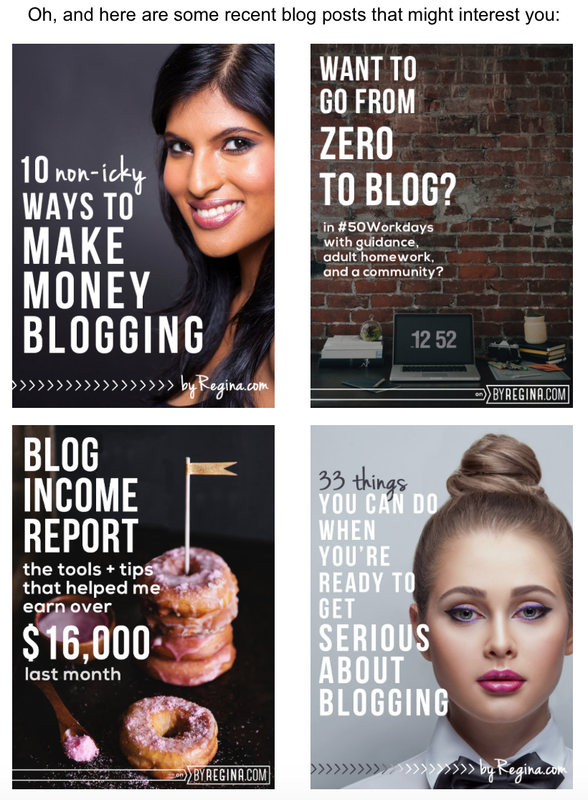 You’re receiving this email because you signed up to receive our awesome e-book on [TOPIC]” will suffice just fine. Once you’ve established why you’re emailing in the first place, it’s time to reveal what kinds of things you’ll be sharing with them moving forward. Sure, they might have loved your e-book, but what next? People value their time and inboxes, so it’s vital that you let your subscribers know what you’re going to send them so they can make the decision whether they want to stick around or get out of there. This is a great time to direct your subscribers to some of your best content so a) they can get a better understanding of the content you’ll be sending them in the future, and b) to solidify yourself as an expert and confirm the reason why they signed up to your list in the first place. You don’t have to go crazy here. 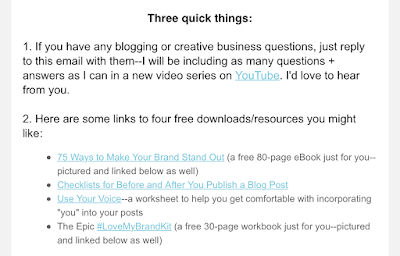 Just pick 2-3 highly relevant pieces of content that have performed well in the past and link to them in your welcome email. It gives subscribers a chance to see what you’re all about and gives them that deeper connection with your brand. Lastly, you don’t want to leave your subscribers hanging. You don’t want to give them all this information and then for them to just click away and forget about you. Instead, you want to use your welcome email to start a conversation with them; to open a dialogue and start building that trustworthy relationship. 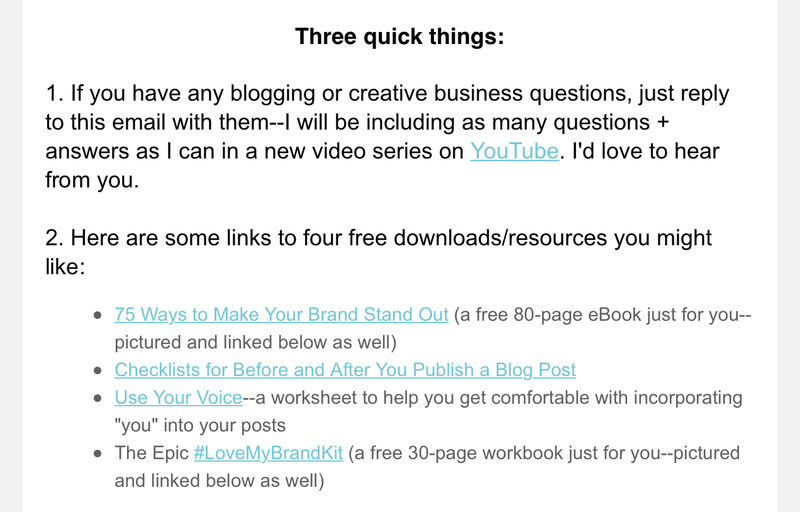 These elements are the building blocks of a successful welcome email – one that connects subscribers to your brand, shows them your expertise, and prepares them for future emails from you (and gets them excited about it!). With Sendlane, you can create an automated welcome email that subscribers instantly receive when they sign up for your list – the perfect way to start building relationships with your audience and creating a community around your brand. What types of welcome emails have worked for you? Feel free to share in the comments below! 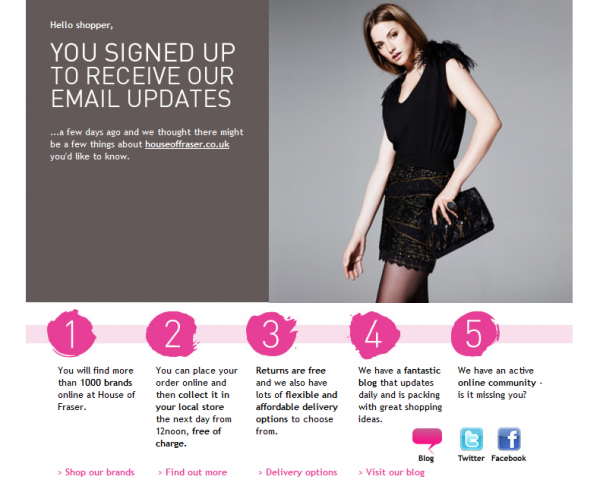 #DIGITAL: What Should You Include in Your Welcome Email?